Stomping Singles Night is now Stomping SOCIAL night. Swipe left on boring dates, and Swipe Right for something unique and fun! 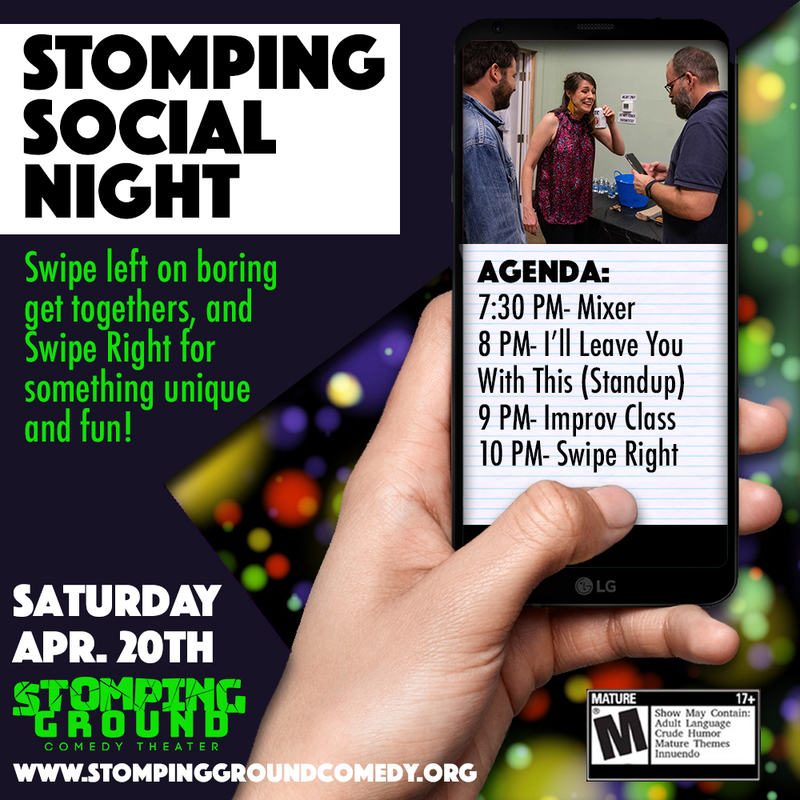 Whether you’re new in town, experienced in the Dallas dating scene, or part of a couple, head over to Stomping Ground Comedy to meet new people and share some laughs about the craziness of dating on Saturday, April 20 at Stomping Social Night! Kick off the evening at 7:30 p.m. mingling in the lobby and then head into the theater at 8 p.m. for “I’ll Leave You With This, where Dallas’ best comics do their best closing joke. Following the show, join us for an improv class designed to help you make new connections and get out of your comfort zone. Then stick around for the comedy dating show Swipe Right at 10 p.m. Part of a couple? Come join us, too- all dates are welcome! Celebrate the joy and hilarious pitfalls of Dallas dating at Stomping Single’s Night! This event is rated Mature/18+. Stomping Ground is BYOB. Ticket price includes admission to the 8 pm and 10 pm shows.